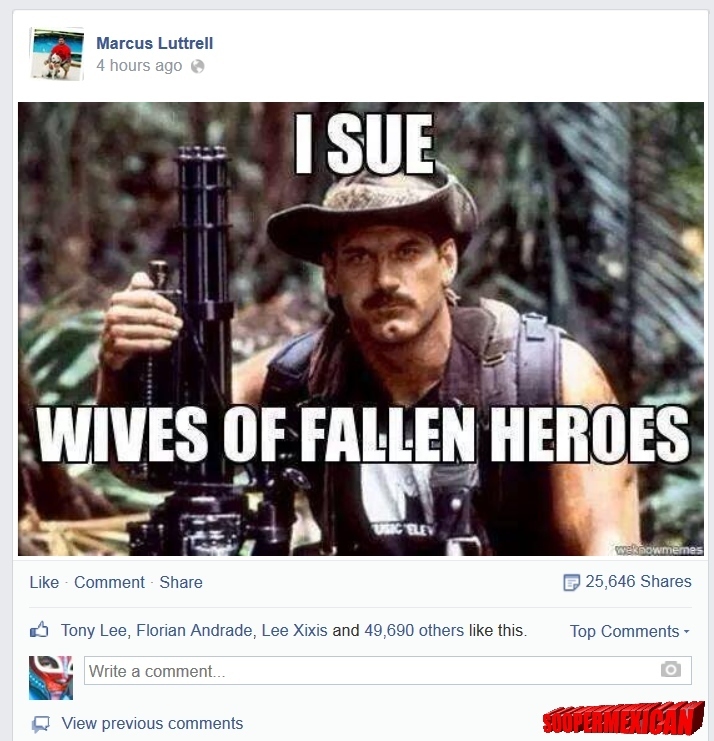 In a blow to everyone’s collective belief in the goodness of humanity, conspiracy enthusiast and bottom-dweller Jesse Ventura won his lawsuit against the widow of Chris Kyle, the “American Sniper.” This sad turn of events proves that we live in a fallen world, and none other than Marcus Luttrell of “Lone Survivor” fame carefully commented on the matter as to not become the next victim of Ventura’s insidious litigiousness. At the time of publishing, the top meme post had received 28,000 shares, and the bottom post had received 9,200 shares. 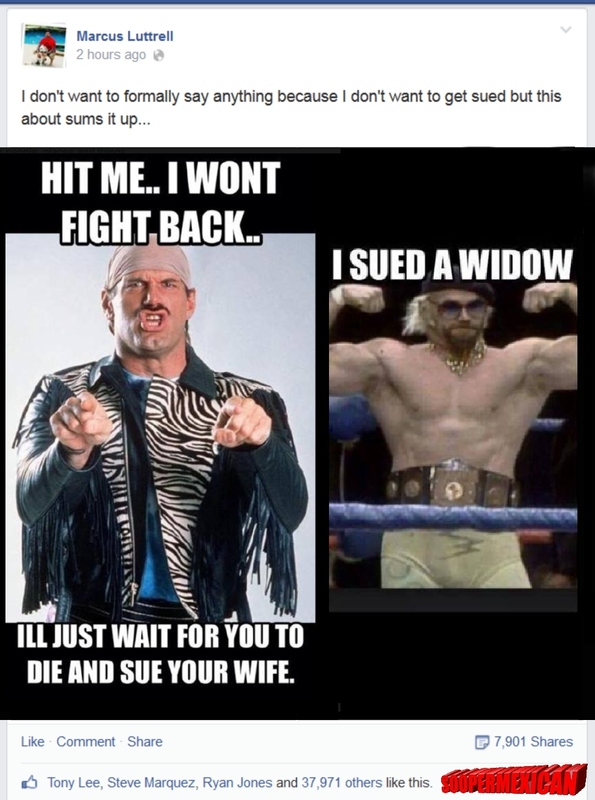 Feel free to show some support, and maybe Jesse Ventura’s tinfoil hat won’t be so tight that he’ll lower himself enough to sue us all for hurting his tiny, feeble, overcompensating sense of self-worth.